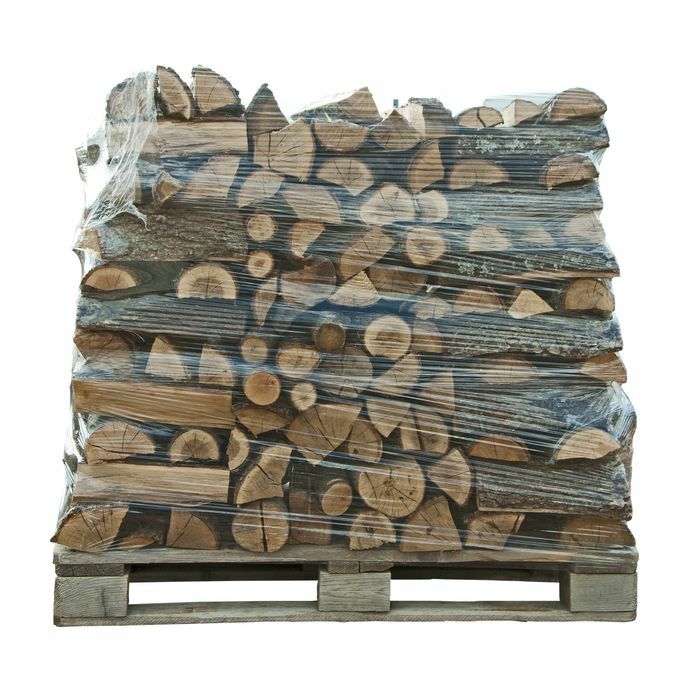 Using firewood shrink wrap is a great way to package firewood for retail sales. Why would you want to shrink wrap firewood? Many firewood distributers are quickly realizing that firewood sold in small bundles leads to much larger profits. Shrink wrap is used to securely wrap the firewood which allows the customer to easily move it without creating a mess. The small bundles are portable and easy to load into your vehicle and take to your destination. Some distributers use binder twine, plastic packaging straps or even burlap bags to secure the bundles. This method will work, but it takes time. The increased time can really add up when you're wrapping thousands of bundles. The term shrink wrap generally describes two different methods of wrapping firewood. One method uses heat to shrink the plastic wrap around a bundle of wood. The plastic is applied to the wood and when heat is introduced the plastic constricts, forming a tight barrier around the wood. Large pallets of wood are often shrink wrapped with heat before transport. The large pallets can quickly be wrapped and it keeps moisture off the wood and secures the wood for transport. It's important not to completely seal off the firewood, especially if it's green. It's a good practice to only wrap seasoned firewood while keeping the ends exposed to increase airflow and allow moisture to escape. The other style of shrink wrap does not use heat. The shrink wrap (also called plastic wrap) is used in conjunction with a firewood bundler. Once the firewood is loaded into the bundler, the machine tightly wraps the firewood creating a nice neat bundle. The firewood bundlers can be powered by a hand crank or a motor, depending on the style you choose. If you're interested in bundling your own firewood, compare the different options and see which one works best for you. Bundled firewood is becoming very popular and if you have the desire to start your own firewood business, one of these machines might give you the opportunity to make some decent money.